The Orbiter is a RED FLAG! 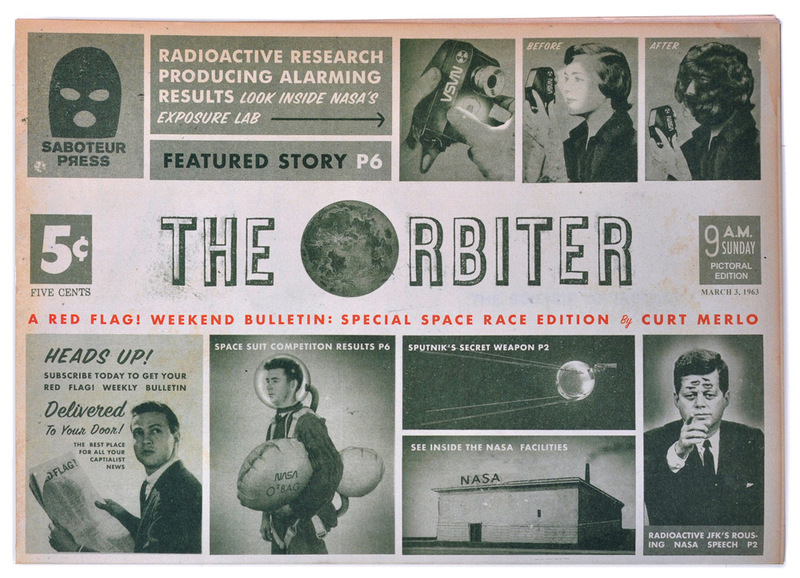 weekend bulletin that is entirely about the Space Race in 1963. 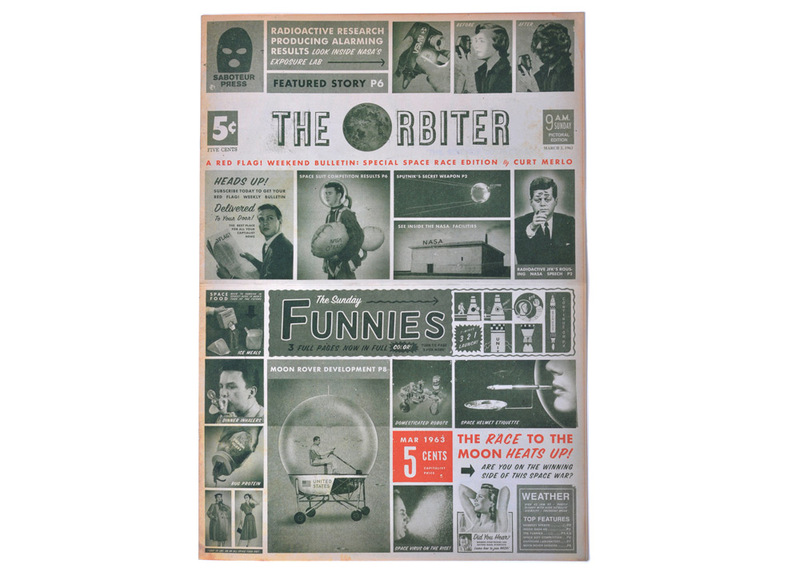 This Cold War classic takes on a newspaper tabloid format and is a whopping 12" x 17" tall. Its 8 pages are packed full of silly and bizarre 60's content like the many failed attempts at the moon rover and the best and worst entries in a space suit competition. It also has 3 pages of full color Sunday funnies much like your favorite newspaper.